Gazing upon glistening blue waters, lush green palms and gentle mountainsides, you will soon discover that you have found a little piece of paradise. 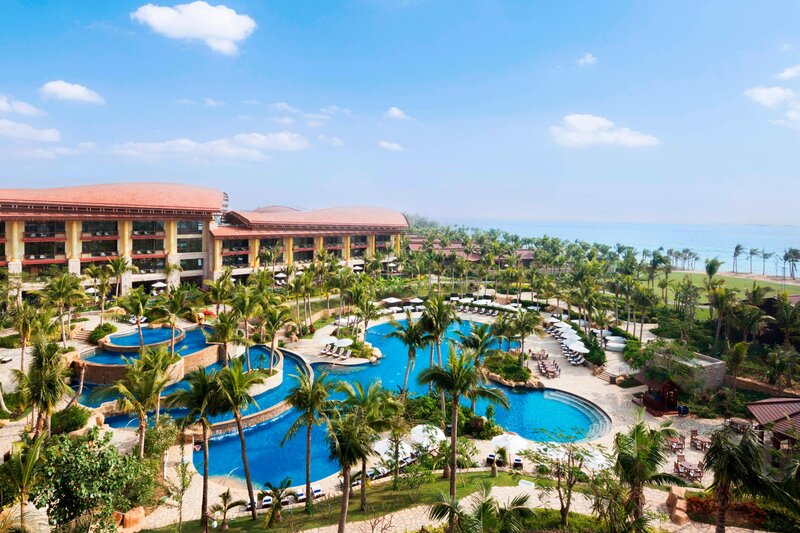 As Hainan’s most southern tip, Sanya is often referred to as the “Hawaii of the East”. 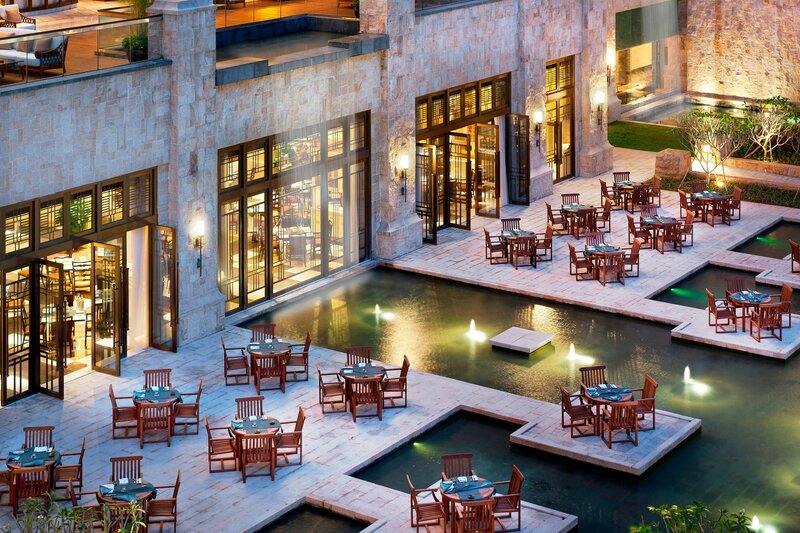 A marina and a protected mangrove forest surround the resort, promising luxurious and natural highlights. Enjoy a dip in one of the pools or lounge on our tranquil beach. 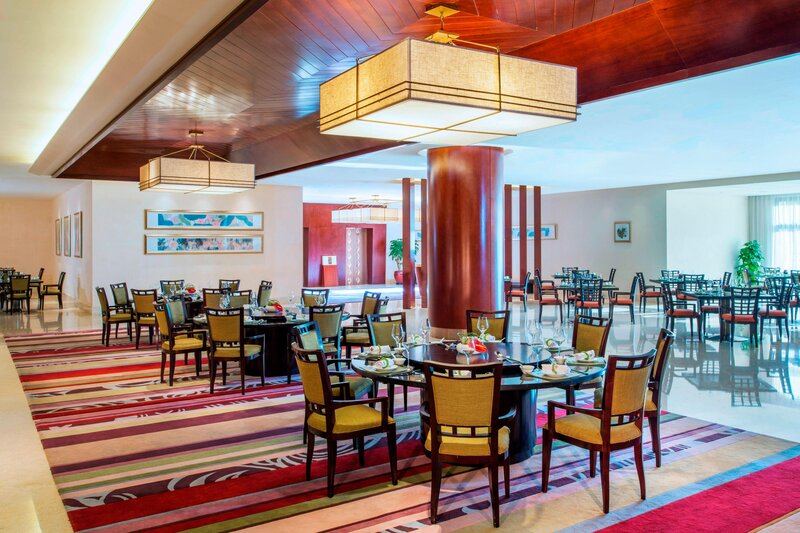 Culinary experiences await you in each of our three restaurants and two bars, with authentic flavors and relaxing ambiences. 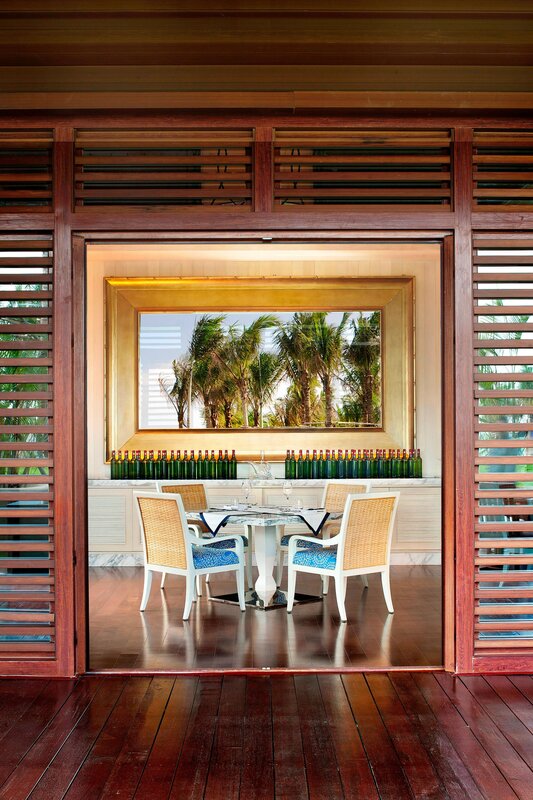 The resort’s 396 rooms include 37 suites and 28 beachside villas, where you may unwind in comfort amidst gracious design and meaningful amenities. Iridium Spa offers distinctive elegance, delivering customized experiences. 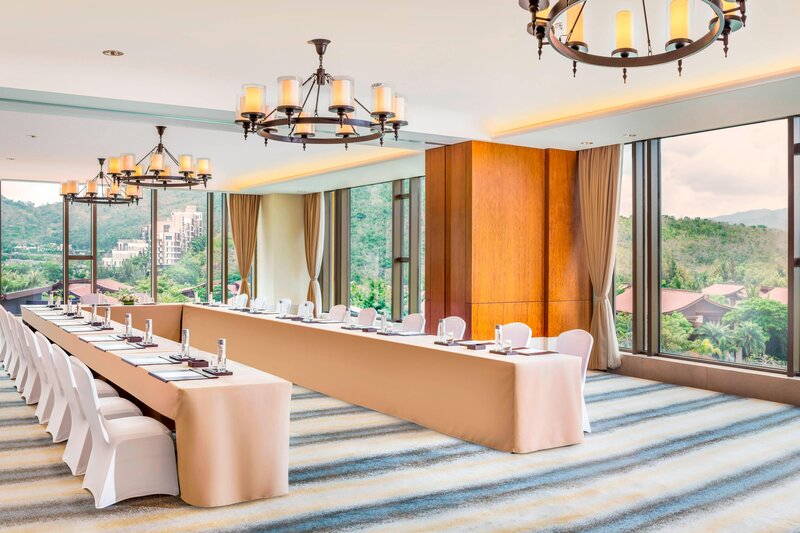 St. Regis Butlers provide flawless, personalized attention to the guests, and they are the one point of contact for the guest – answering all of their questions and meeting all of their needs. 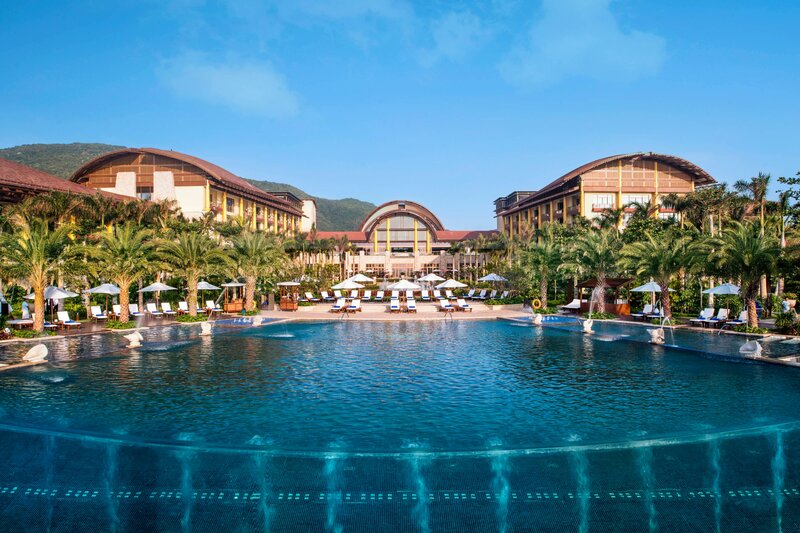 The St. Regis Sanya Yalong Bay Resort is situated ideally situated on a generous stretch of the most coveted location on Yalong Bay, with access to more than 800 meters of white sandy beach and beautiful coastline. You won’t have to fight for a place in the white sand. 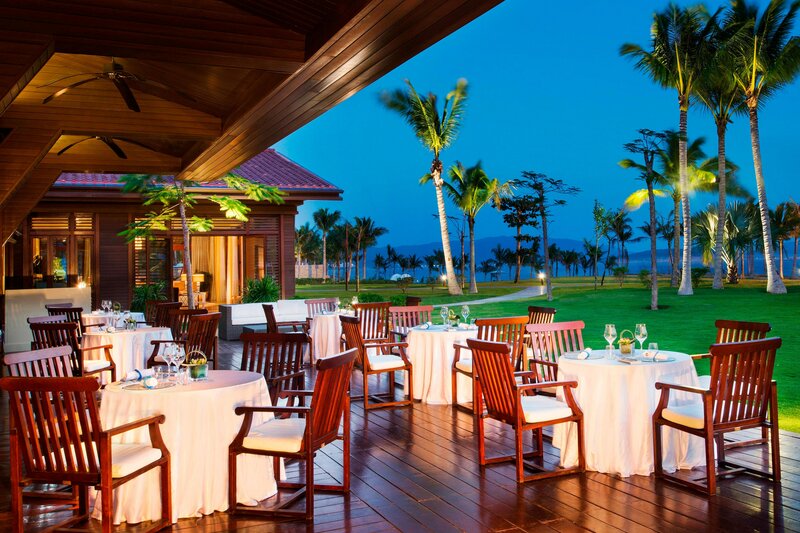 The St. Regis Sanya Yalong Bay Resort has its own private beach. A Yacht Club and a protected mangrove forest surround the resort, promising luxurious and natural highlights. 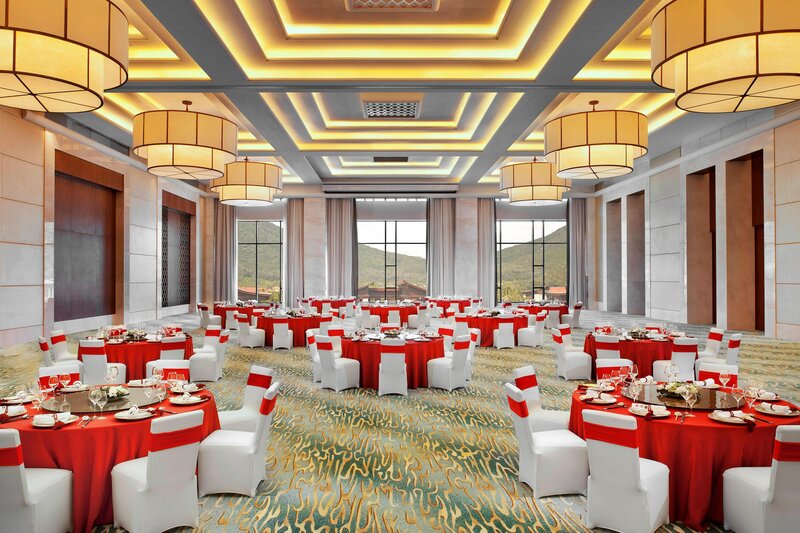 The first forest park in Sanya City, the Tropical Paradise Forest Park is right at your doorstep and provides magnificent views of the lush tropical landscape that surrounds. Discover the true art of dining with discreet and attentive service—from unique gourmand adventures accompanied by vintages from our wine cellar, to relaxing and meeting with colleagues or friends while enjoying Afternoon Tea or an evening drink with spectacular views. 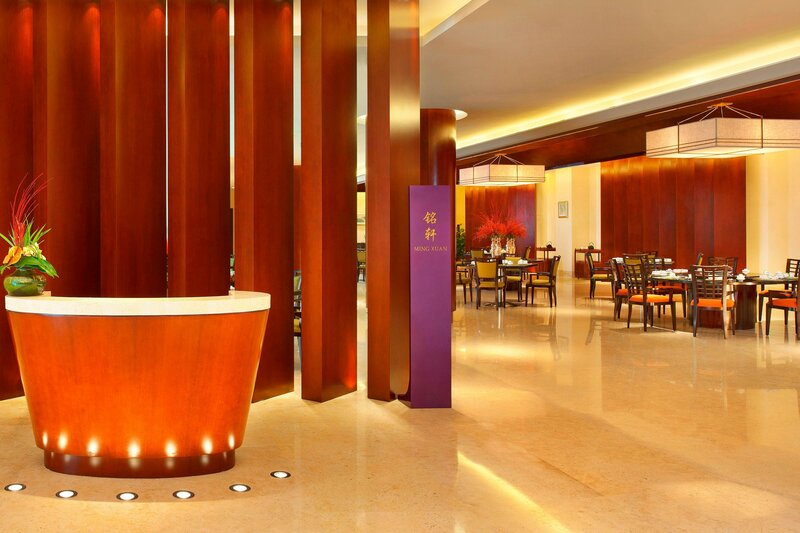 Dine in quiet the opulence of our modern Chinese restaurant where exquisite meals meet uncompromising service and each culinary journey is memorable. 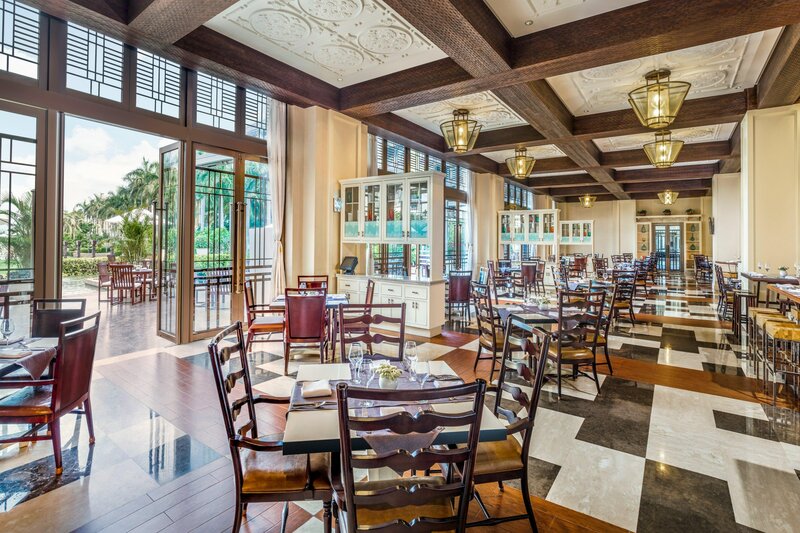 Contemporary and casual, the restaurant offers indoor and outdoor dining and a festive atmosphere with live cooking stations. 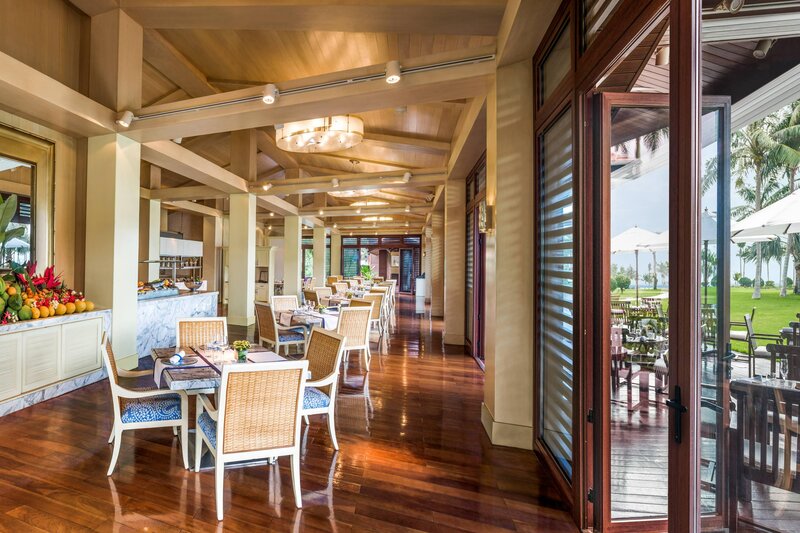 Dine on succulent, fresh seafood or glorious meats at Driftwood, our beachside restaurant with brilliant ocean views and a light, airy ambiance. 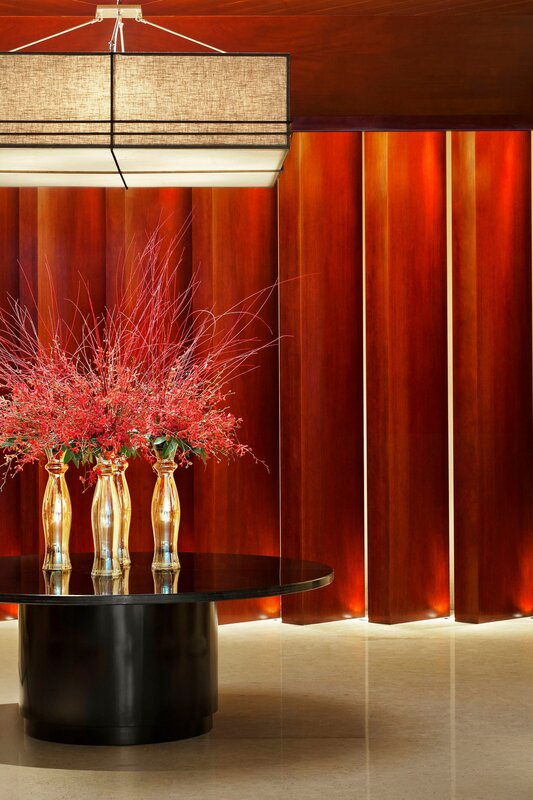 Simple elegance is expressed in every detail, every gesture. 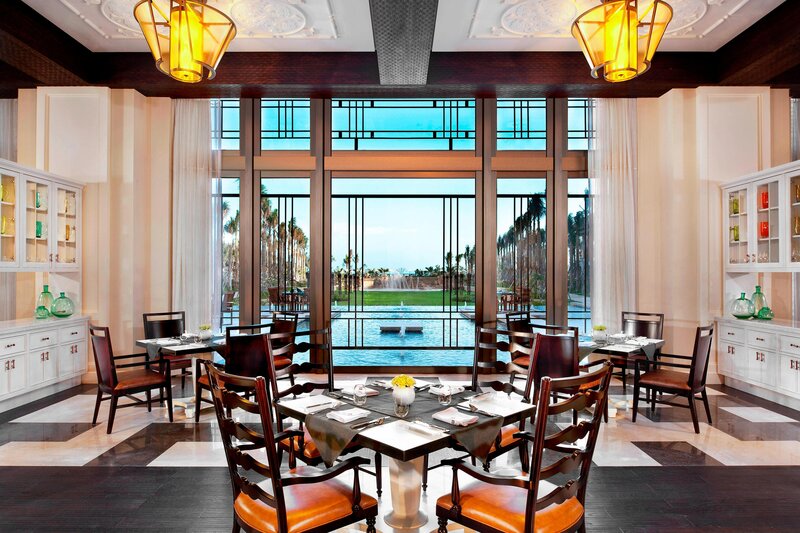 The suites and villas at the St. Regis Sanya Yalong Bay are designed to offer unrivaled luxury and extraordinary exclusive St. Regis privacy on Hainan Island. A transparent temperature controlled infinity pool overlooking the Yalong Bay, adjacent to a complex with multiple pools. We have two amazing swimming pools for the whole families enjoyment. 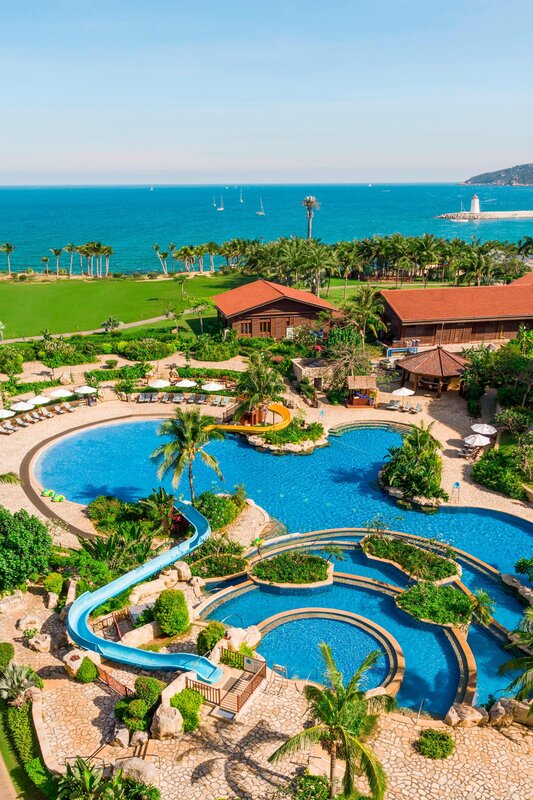 Our main pool features two waterslides and an infinity edge overlooking the ocean. 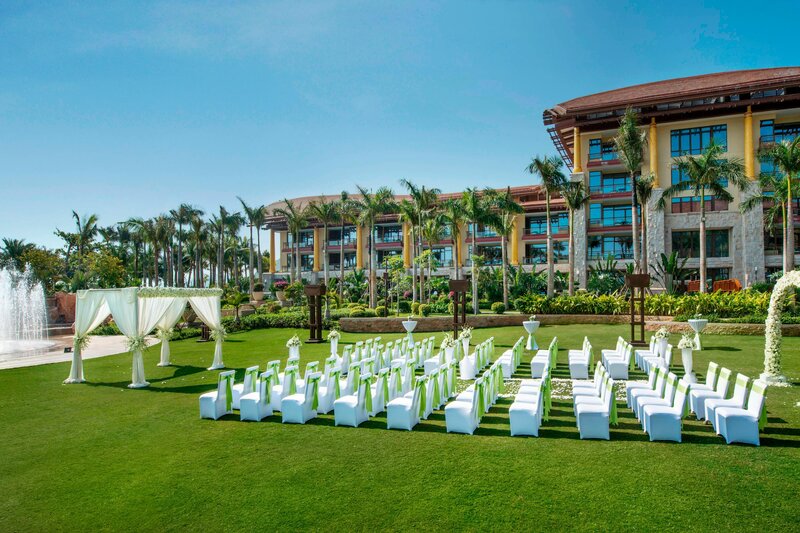 Discover The St. Regis Sanya Yalong Bay Resort&apos;s unique wedding venue overlooking the Yalong Bay and unique yachting view. Have an indoor or outdoor wedding of your dreams. 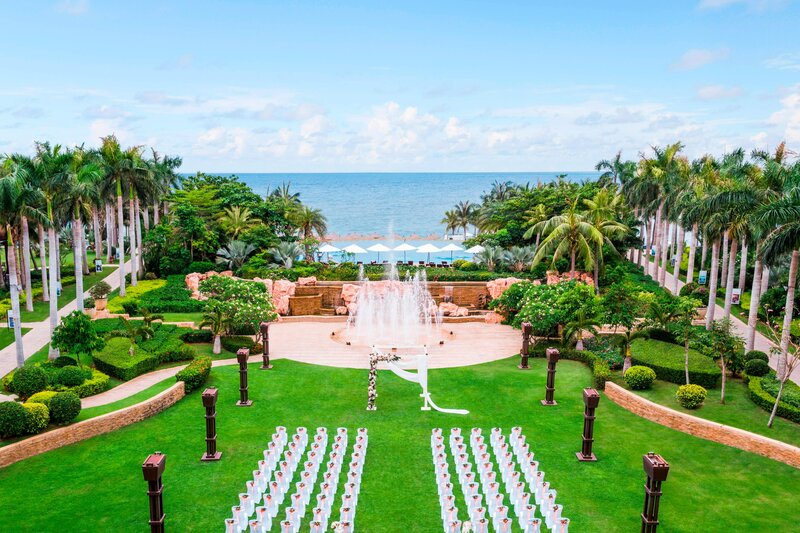 Our amazing location and scenery allow you to truly have a unique wedding experience you and your guests will never forget. 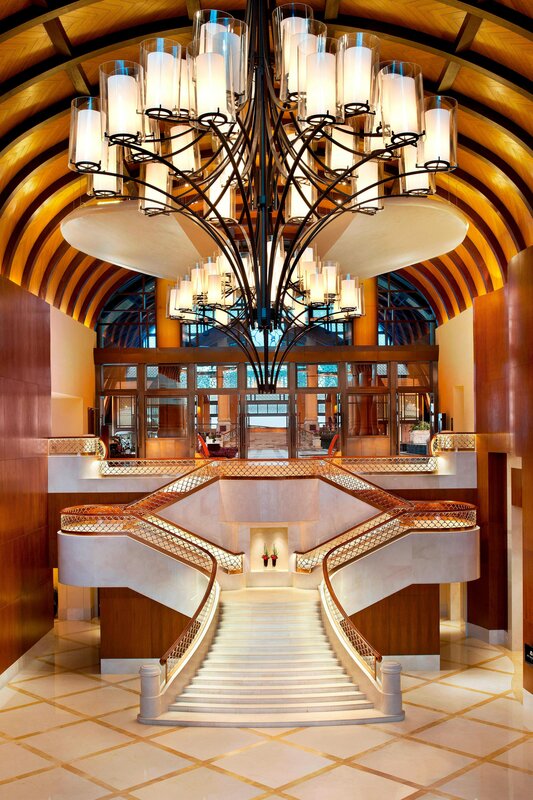 A characteristic St. Regis grand staircase with foyer is unique to create an unrivaled welcome ceremony before a meeting of event. 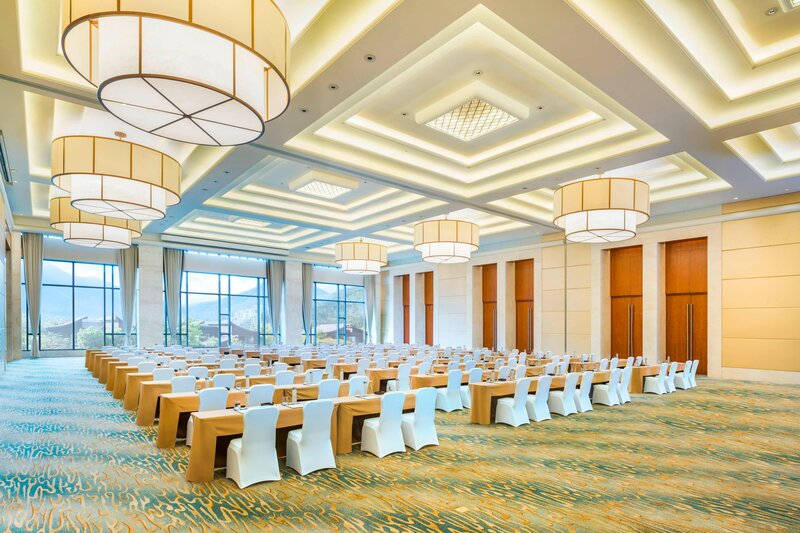 With 12 meeting and event rooms and nearly 27,000 sq ft of space, we offer a space for any occasion. Yalong Bay boasts the five essential elements of modern tourism: sea, sands, sunshine, lush green plants and fresh air. In 1992, the Secretary - General of the World Tourism Organization once marked that this bay embraces the unique and unparalleled natural settings, sands, crystal sea water, endless seashore, unspoiled hills and pristine vegetation, making it a paradise for holiday travelers.